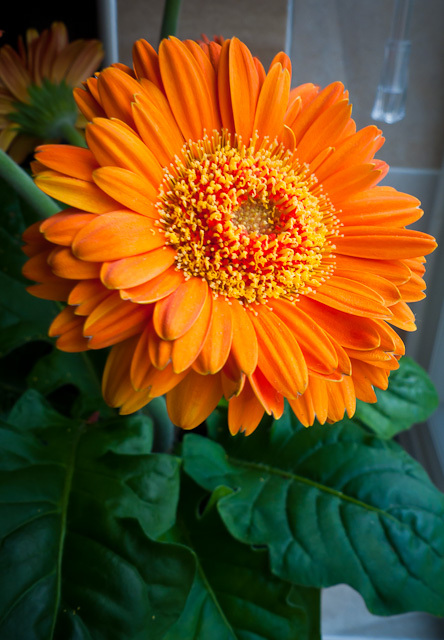 Summer has arrived….break out the barbie’s! Well at least for a few days it looks like we are going to have some nice warm weather. Powered by the sun this is a Crookes Radiometer which was spinning away in the sun this morning. 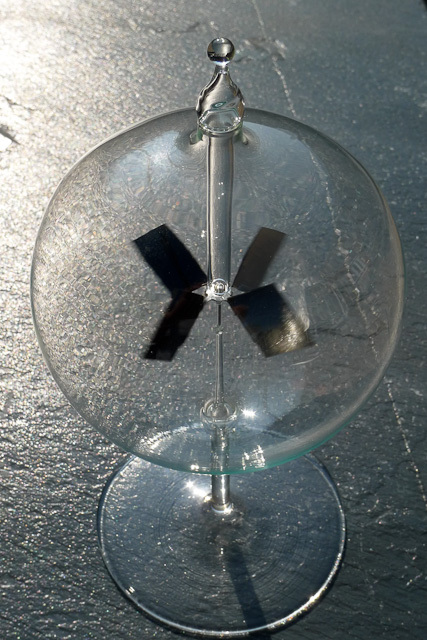 The Crookes radiometer, also known as the light mill, consists of an airtight glass bulb, containing a partial vacuum. Inside are a set of vanes which are mounted on a spindle. The vanes rotate when exposed to light, with faster rotation for more intense light, providing a quantitative measurement of electromagnetic radiation intensity. The reason for the rotation has historically been a cause of much scientific debate. It was invented in 1873 by the chemist Sir William Crookesas the by-product of some chemical research. In the course of very accurate quantitative chemical work, he was weighing samples in a partially evacuated chamber to reduce the effect of air currents, and noticed the weighings were disturbed when sunlight shone on the balance. Investigating this effect, he created the device named after him. The garden is coming alive with colour. 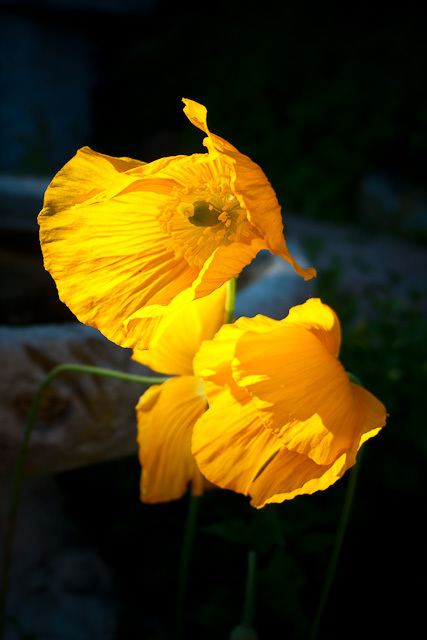 These yellow poppies are a wonderful splash. I can feel a summer garden theme emerging! 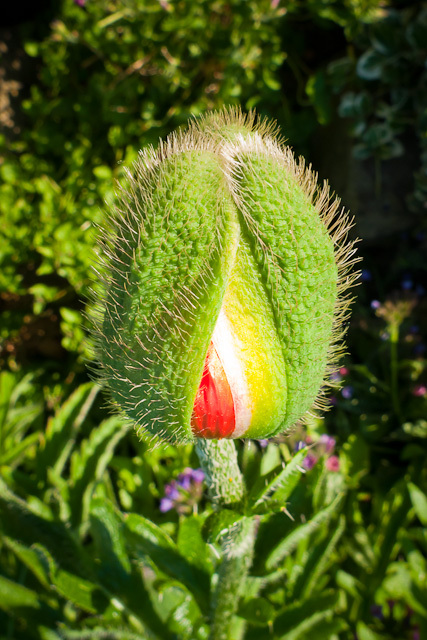 This poppy bud is just about to burst open…..
Inevitably my world has suddenly shrunk. 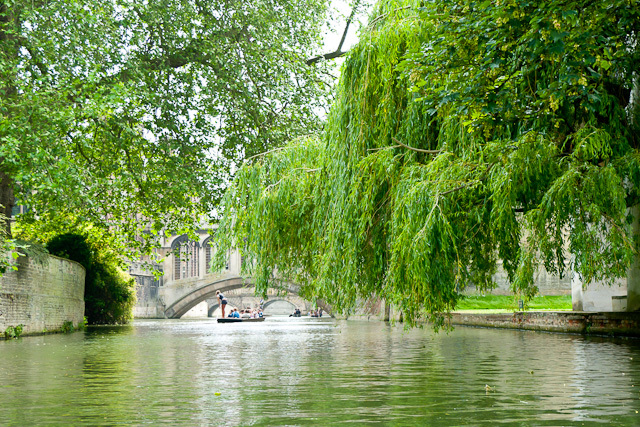 For the next couple of weeks the photos are going to be very ‘local’. 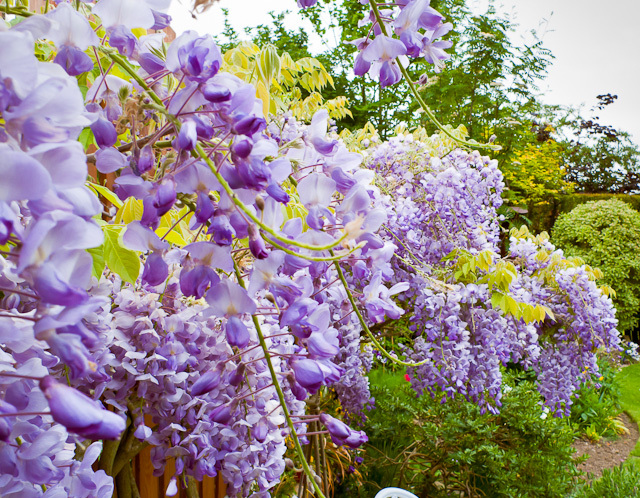 This beautiful Wisteria is in the immaculate back garden of Kath & Trev. ‘Spaced out’ on pain-killers I’m having a lovely time! 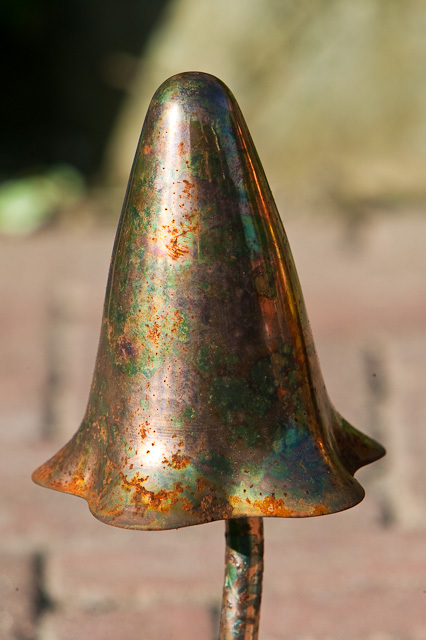 These metal mushrooms in the garden are weathering into very attractive pieces. The tinkling noise they make still drives me nuts!